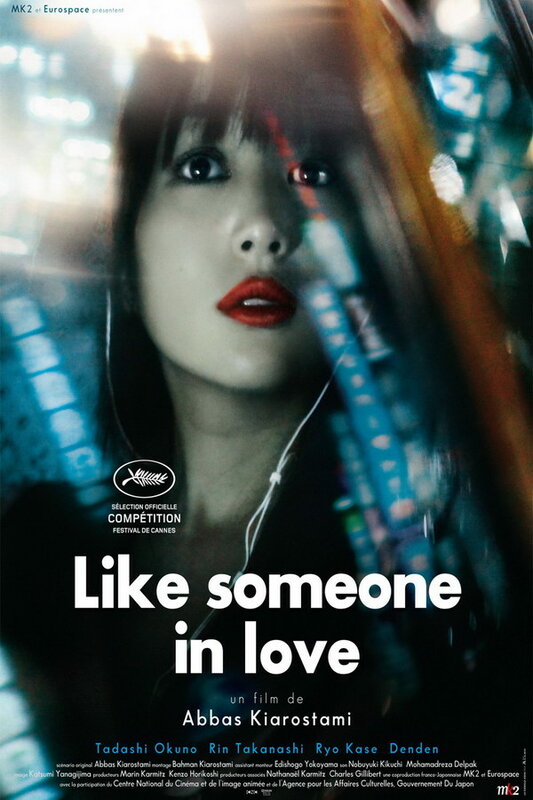 Like Someone in Love font here refers to the font used in the title of Like Someone in Love, which is a Japanese drama movie that tells the story of a young Japanese woman who has to finance her studies through prostitution. The movie title in the poster is probably set in Futura PT Bold, designed by Paul Renner and Vladimir Yefimov from ParaType. The font is a commercial one and you can view more details about it here. In addition to Like Someone in Love, Futura typeface is also used in the following logos, movie posters or album covers etc., including: The Wolf Among Us, The Greening of Whitney Brown, Ozark (TV Series), Crush Orange, Occupy Wall Street, Destiny, Pure Heroine, Cluedo Logo, Party City, Sonic, Red Bull, Caillou (TV series), Brick Lane, Now or Heaven, The Dungeon Masters.